Scott Young, DDS Contents Phil S.
Patient was so unhappy with the appearance of his teeth that he wouldn’t smile. He was unhappy with severe crowding on the upper and lower lateral teeth, which were set back. We extracted the lower laterals to make room, then placed two bridges on the lower arch. This replaced the extracted teeth with fully functional prosthetics and created proper proportion and appearance. 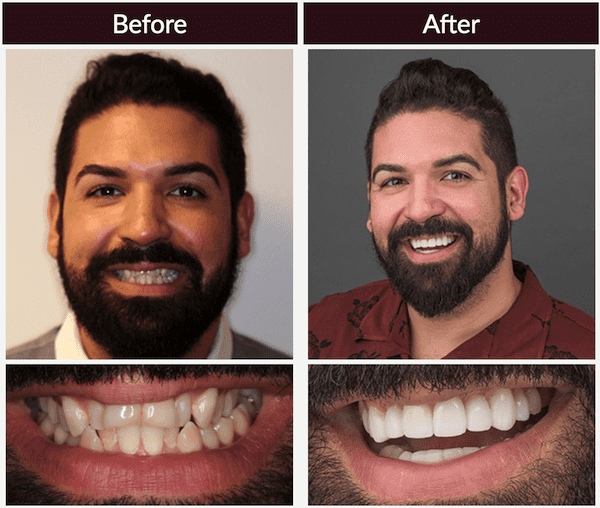 On the top we placed 10 porcelain restorations to completely rejuvenate his smile.